The Mythic Championship Team Series celebrates and rewards players for doing well at tabletop Mythic Championships over the course of a season as part of an approved team. Players form teams of 6 and compete throughout a season at Mythic Championships. Teams are given scores based on points earned by team members at tabletop Mythic Championships. The points earned by the top five of the six team members on each team will be added to a team’s score at the end of each event. At the conclusion of the 2018-2019 Team Series season, the Top 4 teams will win their share of a prize purse of over $200,000. The Top 2 teams will be invited to compete in Championship event to see who will be crowned the 2018-2019 Mythic Championship Team Series Champions! 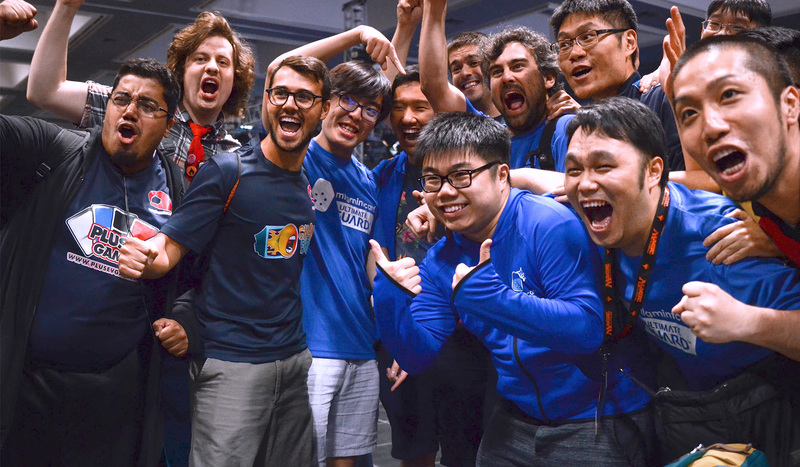 Dice City Games features Silver-level players, RPTQ top finishers, and recent major event top finishes in pursuit of more invitations after a late entry into 2018-19. Flashback is headlined by Gold-level pro Kellen Pastore as the team makes a late entry into 2018-19’s season. Legion returns with many of its members from last season after putting up a solid performance in 2017-18. 2016-17 Champions Musashi return for a third season unobstructed and unchanged as Japan's best players look to redeem themselves in 2018–19. The Saddleback LaHumans have assembled as a late entry into 2018-19 for a shot at Mythic Championship glory in the 2019 calendar year.